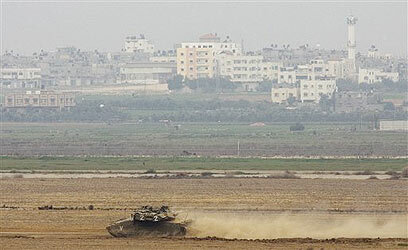 The residents of the Eshkol Regional Council in the Gaza vicinity began to resume their normal life on Friday, almost two days after the Egypt-brokered ceasefire between Israel and Hamas took effect. Local farmers returned to fields which had not been watered for nearly 10 days, and now have plenty of work on their hands: After hiding in bomb shelters for more than a week, they must now begin spraying, picking and sowing. The eight days of fighting in Gaza are expected to cost Eshkol farmers tens of millions of shekels in direct and indirect damages. "We keep on discovering further damage," says Lior Katari, coordinator of Eshkol's Agricultural Council. Some 480 Qassam rockets and mortar shells landed within the regional council during the eight days of fighting. Dozens of the rockets fell inside the council's communities, while the rest hit open areas. Most Israelis calm down when they hear that a rocket hit an "open area" rather than a populated one, but as far as farmers are concerned, this could mean bad news too. "The open area is our agricultural field," one of them explains. Farmers are now forced to deal with some 200 rocket remnants which have to be cleared from the area. Three cowsheds and five henhouses were also damaged during the fighting. In one henhouse, 5,000 birds were killed. Hundreds of dunams of agricultural land were turned into meeting points for the IDF, roads used by farmers were suddenly filled with tanks, and some areas can no longer be used for more than one or two seasons. "These are just the direct damages," says Lior, "and we have yet to discover all the damage." The more damage the farmers discover, the bigger the compensation they are slated to receive from the government. But according to some of them, the real challenge is not restoring their fields, but receiving compensation – and on time. "The farmers here have been through a lot," Lior says in despair. "We are living in an ongoing circle of escalations for the past 12 years with a lot of damage, direct and indirect. The farmers don't have a smidgen of trust when it comes to the way they will be handled a second after this whole business ends." According to Lior, "The farmers know that they will try to stall. Everyone knows that a farmer needs the money now and can't wait. We just started the season. Now we have to pick and inject money. We have to pay the water and workers' expenses. They say to us, 'Okay, give up half and you'll get it two months earlier.' A farmer doesn't get advanced payments. This is something which can last several months and even a few years. 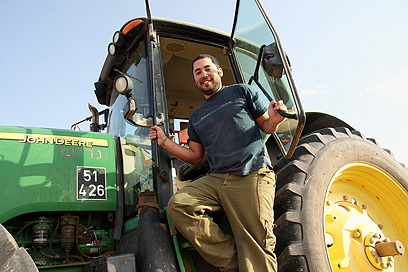 Omer Galili of Kibbutz Nirim got on his tractor on Thursday. "Throughout most of the days of the operation I wasn't here. It's a very stressful period of planting wheat, harvesting sweet potatoes, growing potatoes. Agriculture likes a routine, you have to sow on time, do things on time. These are things that were damaged. There are damages caused by the army, which sat on our fields. I cannot estimate the damage. I hope the rain comes and covers the damage." He says the farmers were happy to go back to work, but had mixed feelings over the operation. "There is a feeling that we know what we are planning in the fields, but we have no idea what the leadership is planning. It seems that the government is not sowing anything and not harvesting anything. It's possible that in two months we'll be interviewed again in the south and the situation will go back to the way it was." Lior explains that during the fighting, when the southerners are needed, everyone visits and embraces them. "Afterwards, I am always afraid of the farmers' present situation and of the lessons they learn for the next rounds. The farmers' lack of trust in the system is growing, leading to things one shouldn't see during fighting," referring to farmers who risk their lives in order to attend to their fields. Many plots have been declared military area, and yet for fear of losing their livelihood, farmers arrived at the orchards and fields to water the crops and take care of them. "Families have nothing to live off apart from their farms. You can't be a hired worker. In other words, a farmer who stays home and doesn't care for his crops will see the money in a year." Farmer Galil Nahum from Moshav Mivtachim, who says he was born a farmer, is more forgiving when it comes to the compensation the State grants him and his colleagues, but says it is not enough. He explains that Eshkol farmers have been suffering for years from rounds of escalation which hurt their crops, but didn't get a penny. "The State compensates, but I can't say that it compensates farmers properly. During the week of fighting we were home, most of them time close to the safe rooms. We hardly managed to engage in agriculture, we just did whatever we could in terms of irrigation and fertilization. We didn't spray or harvest the produce." Nahum explains that both Operation Cast Lead and Pillar of Defense broke out after weeks of rocket fire targeting southern Israel. "We suffered damages also before the operation, but unfortunately we are not compensated for those damages. Several months ago, a Qassam hit my greenhouse. The State pays for the damage caused during the operation, but there is no compensation for the damage accumulated in recent months." 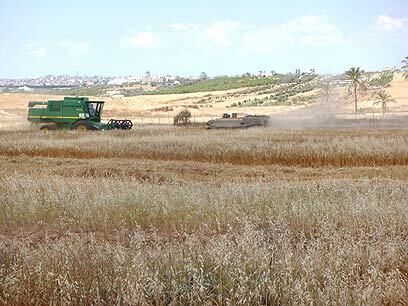 See all talkbacks "Gaza vicinity farmers suffer millions in damages"